Growing up, I was always a Nintendo kid. As the youngest of three, some of my earliest childhood memories revolve around Nintendo platforms. My big sister was the first to get a NES, for which my siblings and I collected a cardboard box full of cartridges we’d regularly blow into. After that came the SNES — possibly the greatest console of all time. Then the N64, where Super Mario 64 first blew my mind with 3D graphics. Then, finally, the quirky and lovable Nintendo Gamecube. I say finally, because after the Gamecube, Nintendo lost me. I also had a PS2 that generation (and a PS1 before that), as well as an Xbox. Aside from Gamecube exclusives and NCAA Football [insert whatever year it was here], most of my third-party games were played on other platforms. That being said, I had a deep-rooted love for my purple box with the black handle. But something really changed the game (*cough*)— and the way I game — when the next generation arrived. Achievements. The first time I hooked up my Xbox 360 and added to my fresh Gamerscore by scoring goals in FIFA [insert whatever year it was here], there was no going back. Escaping the prison in the beginning of The Elder Scrolls IV: Oblivion and hearing that addicting pop is ingrained in my memory. Trying to 100% Red Dead Redemption became a necessity, as I no longer wanted to simply “beat” games, but rather complete games. But still, in my teenage and college years, achievements weren’t the be all, end all for me. Today, however, I am all about the trophies. Last night, I popped by 3001st trophy, having popped my first on December 13th, 2013, the official launch date of the PS4 in Hungary. (As a 360 fanboy, I unfortunately missed out on all those beautiful PS3 trophs.) My TPD, or trophies per day, is 3.20. A good trophy list can persuade me to buy a game. Likewise, a dreadful trophy list can put me off a game. The existence of achievements makes it possible that I may invest in a Scorpio, whereas the lack of an achievement system can put me off buying Nintendo’s next platform. Now, don’t get me wrong... I want to love the NX — whatever it is. I want to play an enhanced version of The Legend of Zelda: Breath of the Wild on it. I want to play all those consistently excellent Nintendo exclusives. However, the problem is, I don’t simply want to “play” these games. I want to platinum them! Likewise, I don’t just want to go back and “play” all those old NES/SNES titles I grew up on. I want to platinum them! In 2016, with both Microsoft and Sony having effective and popular achievement/trophy systems, Nintendo must — and I mean “must” — implement the same system. And when I say “same,” I mean “same.” Please don’t Nintendofy it (I think you all know what I mean). Keep it simple. Keep it clean. It’s really as simple as that. These days, with an ever-growing backlog and ever-diminishing amount of free time, I am unlikely to play anything that does not have trophies or achievements. Therefore, the one thing I truly need from Nintendo is a trophy system. 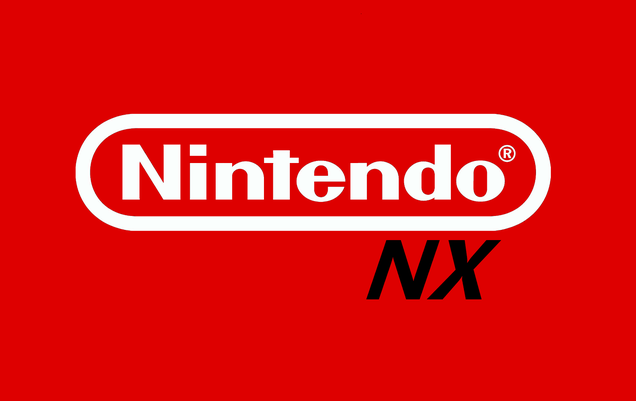 Please, Nintendo, when it comes to the NX... don’t disappoint me again. What do you think? Are you an achievement hunter? Are you a trophy whore? Could you care less? Tweet @Shasdam or let me know in the comments. Until next time, happy trophy hunting!